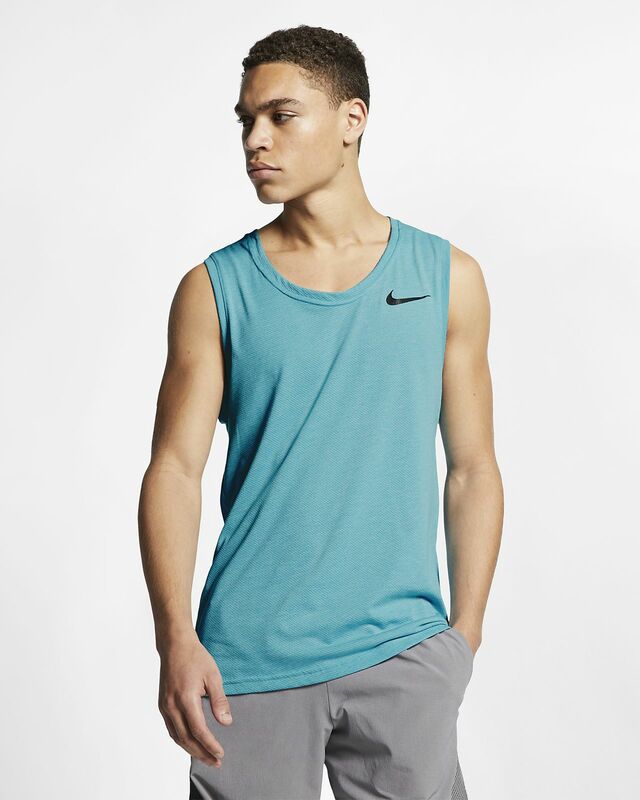 When your workout heats up, the Nike Breathe Tank has you covered in sweat-wicking mesh for optimal breathability. Side vents on the hem let you move freely, while the dropped back hem keeps you covered as you bend and stretch. All-over mesh for optimal breathability. Side vents on the hem allow you to move freely. Dropped neckline for stylish comfort and ventilation. Shoulder seams are rolled forwards to help prevent seam stacking, so you can move freely. Have your say. Be the first to review the Nike Breathe.